Unilateral movement can sound intimidating. Thankfully, however, the movements themselves aren’t. 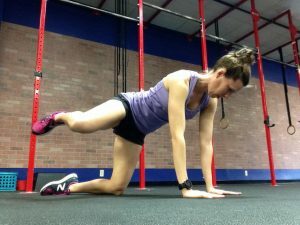 Any runner can and will benefit from practicing using one side of their body at a time. When we use both legs to complete a squat or jump, the stronger side often takes over while the weaker side stays that way. This can be a recipe for a funky gait, less running power, muscle imbalances and even injuries. Unilateral training works to make weak sides stronger, increase muscle recruitment, eliminate muscle imbalances and strengthen the core as a bonus. Team ECRP loves unilateral movement and here are three of our favorites. Each one will help you get stronger and run with better form. These movements work the quadriceps, hamstrings, glutes, ankles, feet and abs all on their own. If you’re looking to hit your upper body too, safely add carried or overhead weights. Lunges. Take a giant step forward with one leg then drop your back knee down towards the ground. Be sure to keep the front knee behind to your toe, aiming for a 90 degree angle. Once that back knee hits the ground, push back up to standing position and bring your feet back together. Repeat on both sides. Step-ups. Using a box, chair or table that’s strong enough to hold you and a comfortable height, place one foot fully onto the flat raised surface. Use your front leg to lift your body up , bringing your back foot onto the box as well. Single Leg Deadlifts. Single leg deadlifts require lots of balance and hamstring mobility. Start by standing feet together then raise one leg straight behind you while your shoulder come forward as a counter balance. Keep your working leg steady but don’t lock out your knee as you keep your non-working hip open and back flat. Touch the ground then slowly return to the starting position. Include these unilateral movements in your training plan for stronger, better balanced running. 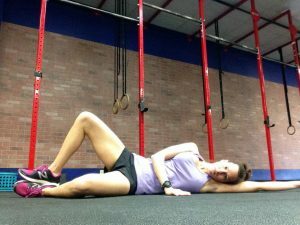 This entry was posted in Running, Strength Training and tagged balance, fitness, injury prevention, running, running strength, strength for runners, strength training on May 1, 2017 by Coach Meredith.